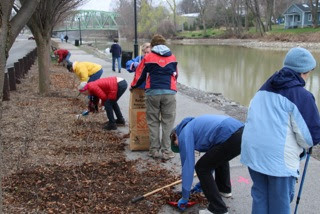 Join thousands of volunteers and local organizations from across the state for Canal Clean Sweep, the annual “Spring Cleaning” of the 524-mile New York State Canal System and Canalway Trail. 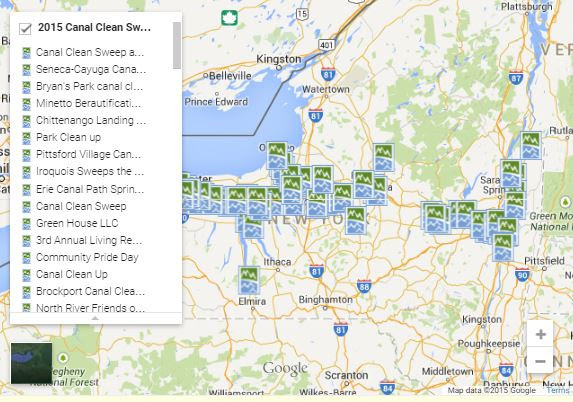 Parks & Trails New York’s interactive map makes it easy to find event locations, meeting times and places, organizer contact information, and descriptions of Canal Clean Sweep events across the state. Once you’ve found an event, you can register to join by clicking the registration link on the map! Clean Sweep activities can include picking up litter and brush on locks grounds, beautification of nearby parks and picnic areas, and preparing sections of Canalway Trail for the thousands of visitors who arrive each year. However you decide to participate, your efforts will enhance this tremendous environmental, cultural and historic resource in preparation for the 191st consecutive navigation season. There’s still time to organize your own cleanup event. Canal Clean Sweep is sponsored by the New York State Canal Corporation and Parks & Trails New York.